This dog breed‘s most famous member co-starred with Tom Hanks in the 1989 movie, Turner and Hooch. Loyal, self-assured, and territorial, the Dogue de Bordeaux requires lots of training and socialization. See below for full list of Dogue de Bordeaux characteristics! The DDB, as he's nicknamed, originated in France's Bordeaux region 600 or more years ago. He's known for his massive head, fearless temperament, and powerful body. 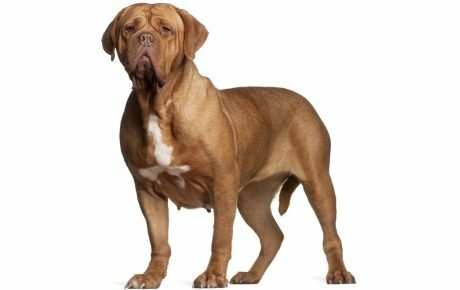 The Dogue de Bordeaux first came to the attention of the American public with the 1989 release of the Tom Hanks movie Turner and Hooch and has gained popularity ever since. A devoted and affectionate family dog, he has a reputation for being sweet and docile, but he can also be stubborn and arrogant. 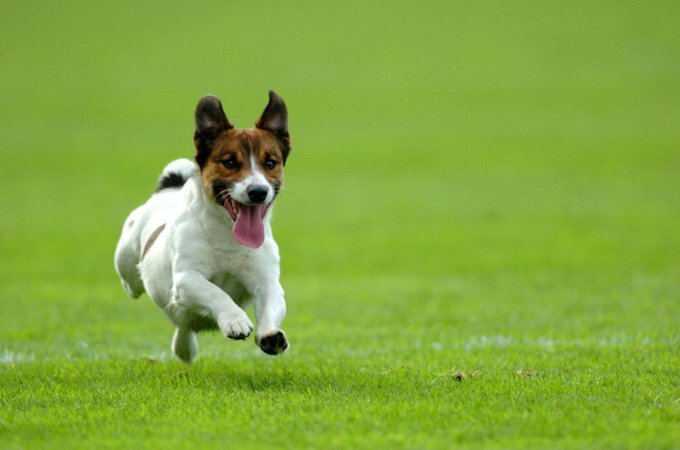 Patient, consistent training is a must, as is early and extensive socialization to prevent aggression toward other animals and unwarranted aggression toward strangers. Loyal, self-assured, and territorial, he's a superb guard dog who's also capable of competing in many sports and activities, including carting, obedience, therapy work, tracking, and search and rescue. Males stand 23.5 to 27 inches at the shoulder and weigh a minimum of 110 pounds. Females stand 23 to 26 inches at the shoulder and weigh a minimum of 99 pounds. The Dogue de Bordeaux's coat is fine, short, and soft. The color ranges from a rich shade of light fawn to dark red fawn and covers thick, loose skin.